Was Abraham Lincoln a racist, as some critics would have us believe? Was he the father of big government, as some others maintain? And are the political principles that guided him relevant today? 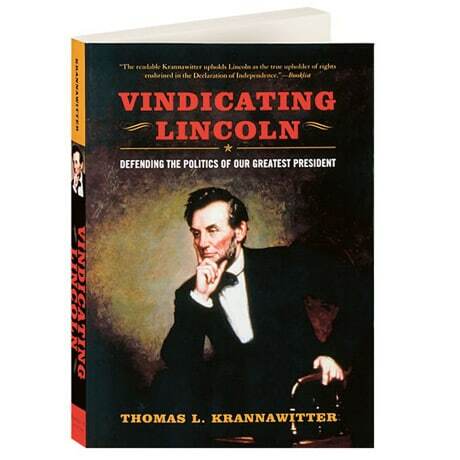 In this provocative book, Thomas Krannawitter sets out to defend the man many consider to be our greatest president from critics on both the left and the right, suggesting that Lincoln is, despite all of the literature available about him, paradoxically the president who is least understood. Bringing erudition and wit to the matter, Krannawitter examines Lincoln in the context of the Kansas-Nebraska Act, the Dred Scott decision, and America's perennial disagreements over the intentions of the Founding Fathers.